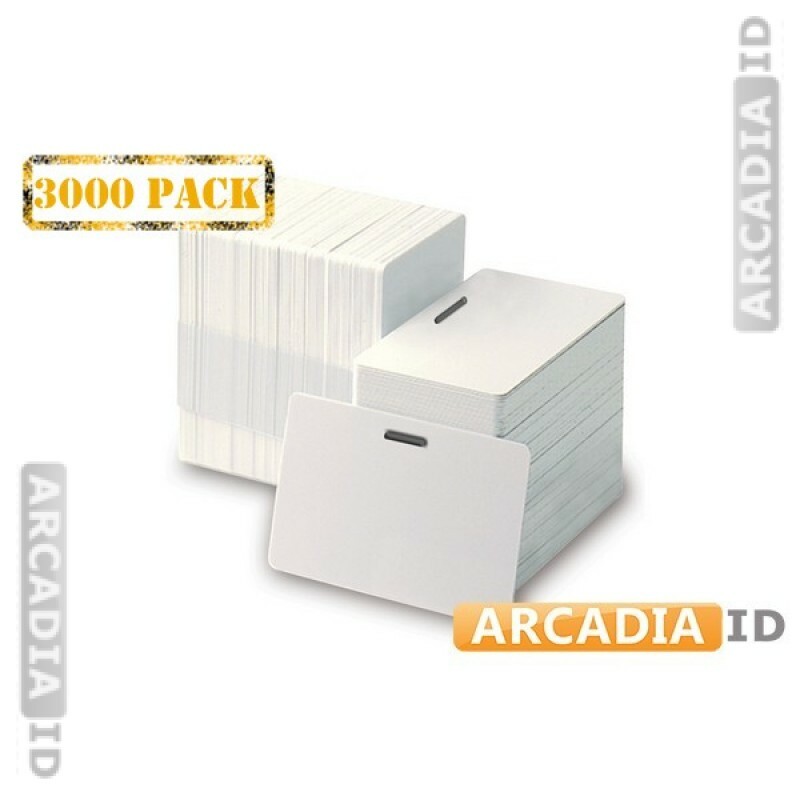 This listing is for packs of 3,000 blank ID cards designed to be used horizontally. A slot is punched along the top so they can be easily fastened to a lanyard or badge reel and carried without getting lost. For our other high quality ID card products at low prices take a look around our site. You can always rely on ArcadiaID for the very best prices every time.